"Pick up passengers and deliver them while causing mayhem!" 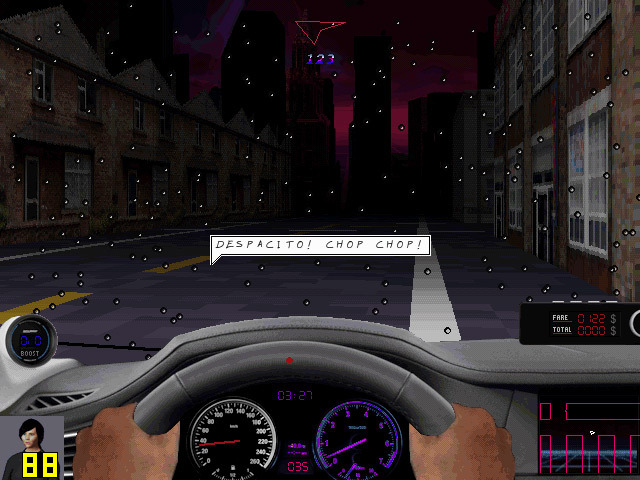 Death Taxi 3000 is a driving game based on the classic Crazy Taxi game where you speed around town picking up passengers and dropping them off while either avoiding or trying to hit the other vehicles on the road! If you see a flashing white dot that is a passenger that you can pick up and try to make some money by delivering them in a timely fashion to their destination, however if you drive badly whilst carrying a passenger then they will make it known about how they feel about your driving skills. 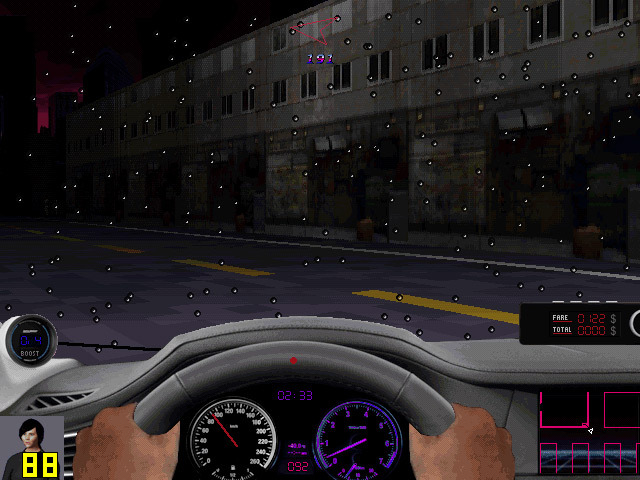 The idea here is good in theory and free driving games are hard to come by however there is a lot of flaws with Death Taxi 3000, despite the title it's not much of a driving chaos, even driving in to police vehicle will not start a car chase and the other vehicles when you get up close look like cardboard cut outs and make the game feel very unfinished, some people may enjoy this type of animation but scarcely. 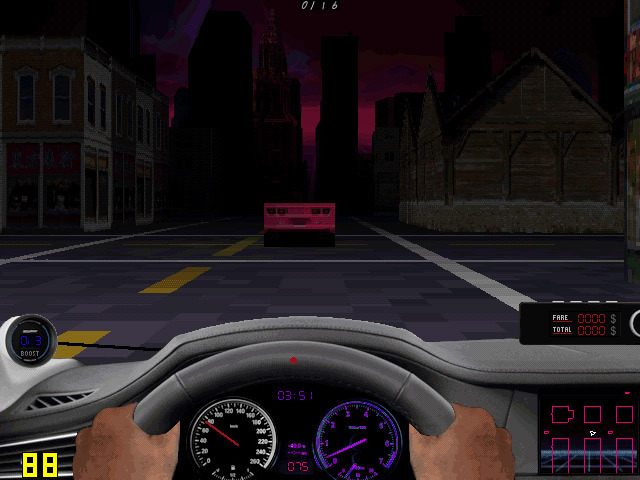 If you are desperate for a driving game that you don't have to pay for then this may scratch that itch for a short time but probably not a game you would play more than a couple of times. 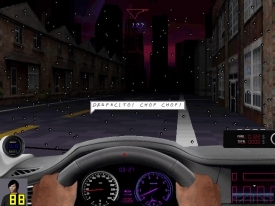 You can download Death Taxi 3000 here for free.